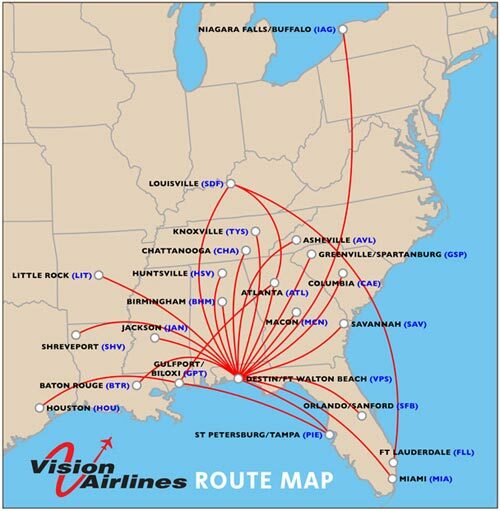 Vision Airlines recently announced the launch of its non-stop, low-fare air service between Columbia, S.C., and Destin â?¢ Fort Walton Beach, Fla., beginning April 1, 2011, with rates starting at $89/one way*. To celebrate the largest expansion of a commercial airline in more than a decade, travelers may receive a $49/one way introductory fare on flights booked by January 31, 2011. They are also giving away free roundtrip tickets to ten lucky winners who enter their sweepstakes by 11:59 pm (PST) January 28, 2011. Vision Airlines will operate flights two days per week, between Columbia Metropolitan Airport (CAE) and Northwest Florida Regional Airport (VPS), utilizing a 148-seat Boeing 737-400 aircraft. Vision Airlines &apos; headquartered in Atlanta &apos; began operations in 1994 in Las Vegas. Today, the company operates a mixed fleet of aircraft including the Boeing 767, Boeing 737 and Dornier 328 aircraft. Vision Airlines, internationally recognized/established as a premier charter airline, has been flying scheduled service for more than two years. 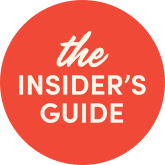 The company&apos;s clients include US Presidential candidates, heads of state, countless celebrities, Fortune 1000 companies and some of the world&apos;s most recognized resorts. The company is headquartered in Atlanta, and also has offices in Louisville, Ky., Las Vegas and Miami. For more information about Vision Airlines or to book a flight, please visit www.visionairlines.com or call 1-877-FLY-A-JET. * Taxes and travel fees apply. Vision Airlines Baggage Policy: Standard Size Checked Bag (Advance Purchase) - $15.00, Standard Size Checked Bag (at airport) - $25.00, Overweight Checked Bag - $75.00, Sports Equipment - $50.00.